Fabulous Downeast design with elegant finish and solid construction. 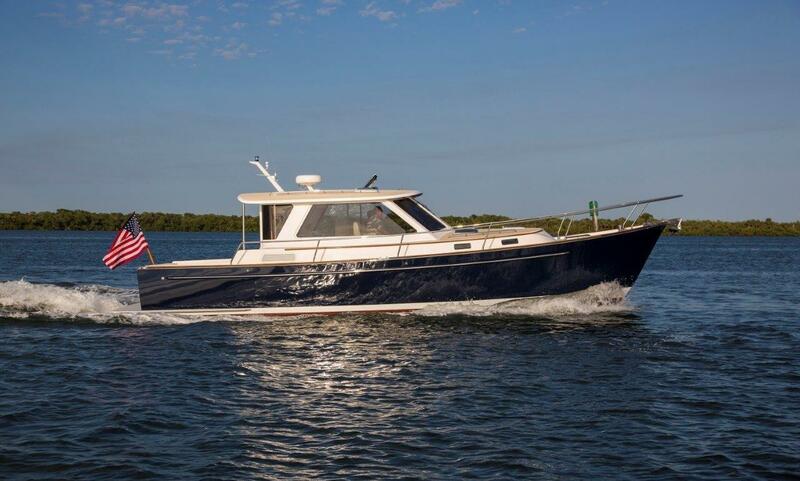 The Abaco 40 is sea kindly and maneuvers easily in tight places with bow and stern thrusters. 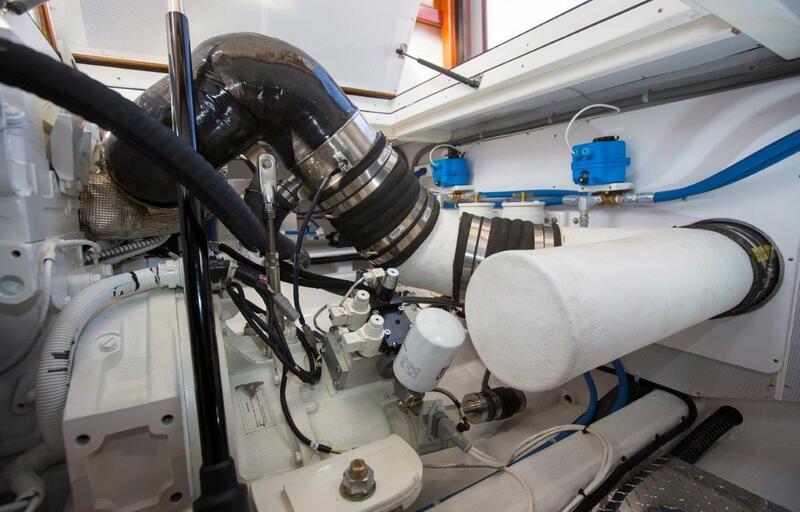 New Aquadrive anti-vibration system assures a quiet and smooth ride. 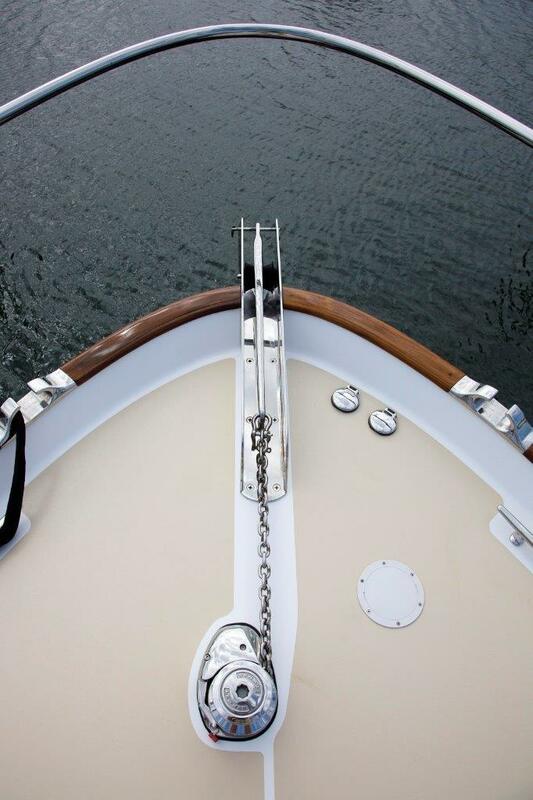 The Abaco 40 is designed by Mark Ellis and built by Bruckmann Yachts in Toronto, Canada. 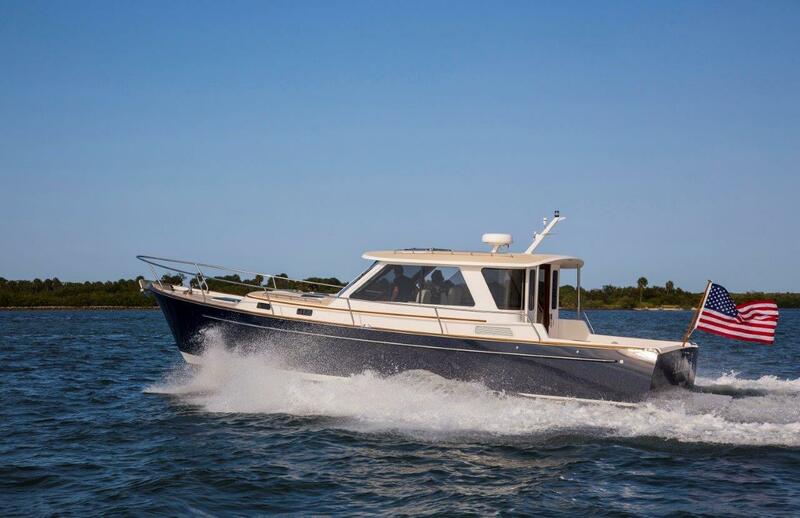 A classic Downeast style with a single engine and running gear protected by the keel. 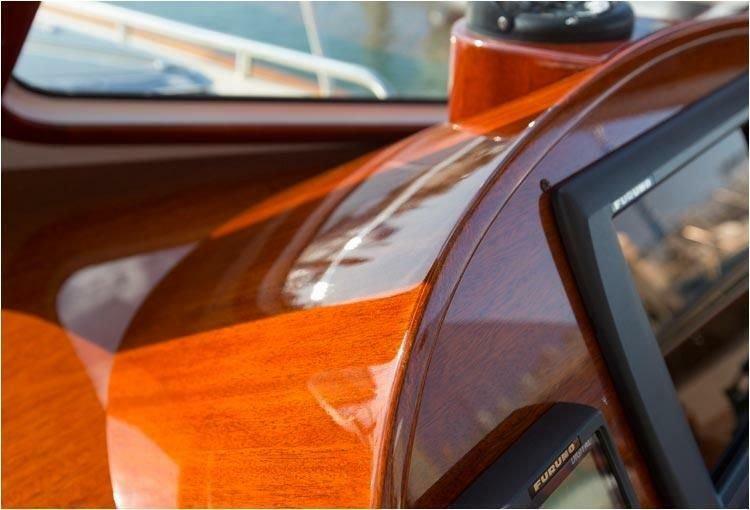 Bruckmann builds a first class boat with a traditional Hereshoff style interior. 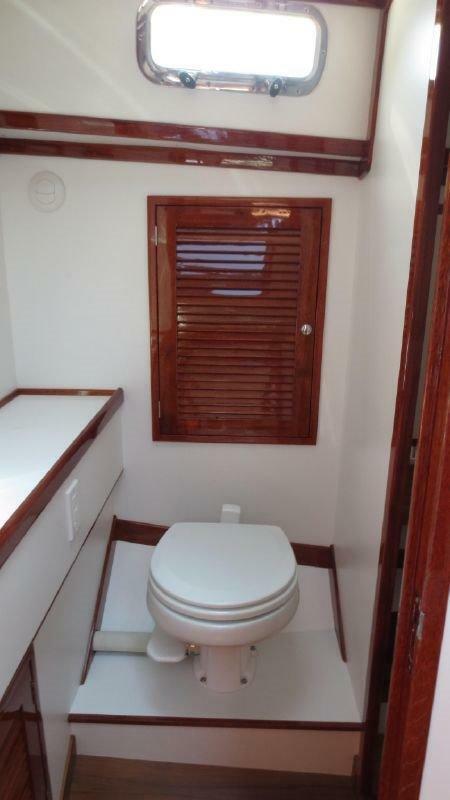 This Abaco has a centerline berth forward and a large head with separate stall shower. 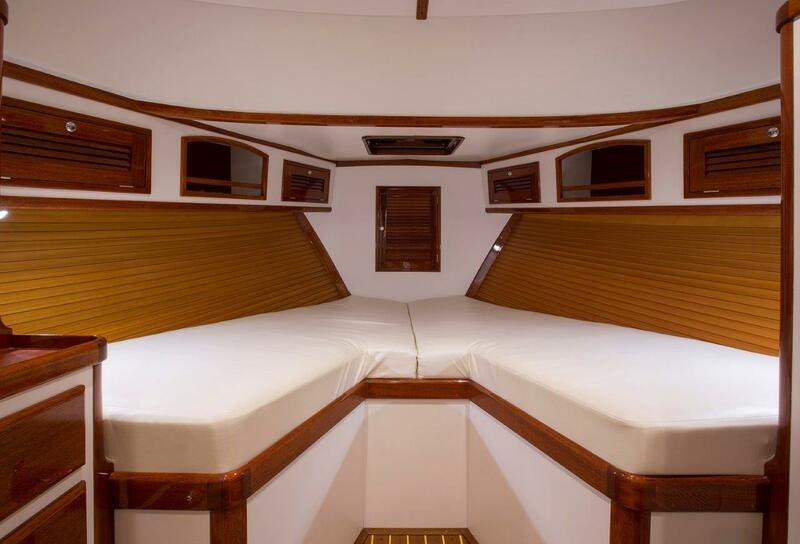 The dinette in the salon can convert to a queen size berth. 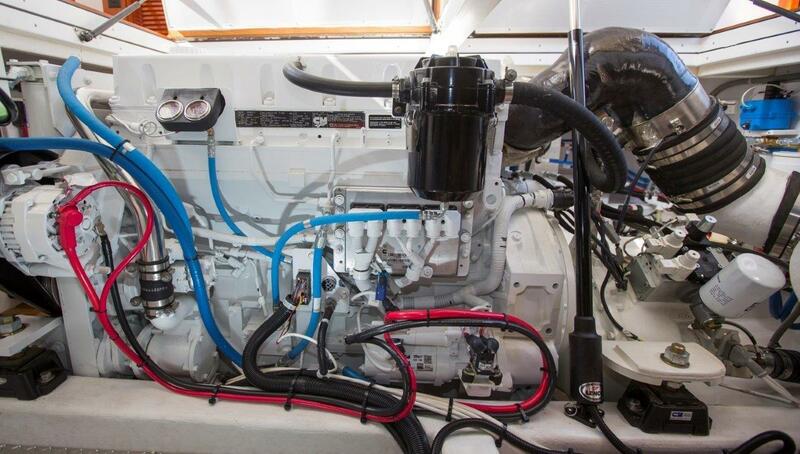 Powered with a 670 HP Cummins, the Abaco gets up on a plane at 10-12 knots and cruises comfortably at 24 knots with a top speed of 28-29. 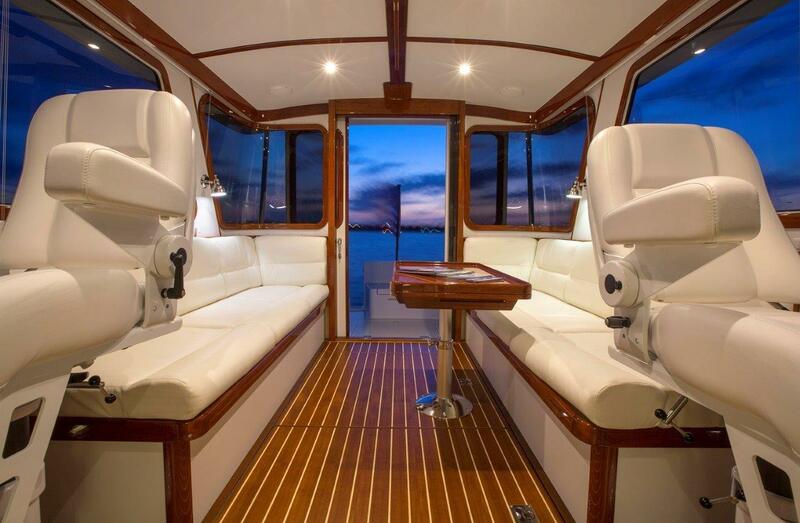 The Abaco 40 has been designed to be handled by one and comfortably accommodates two plus two overnight guests. 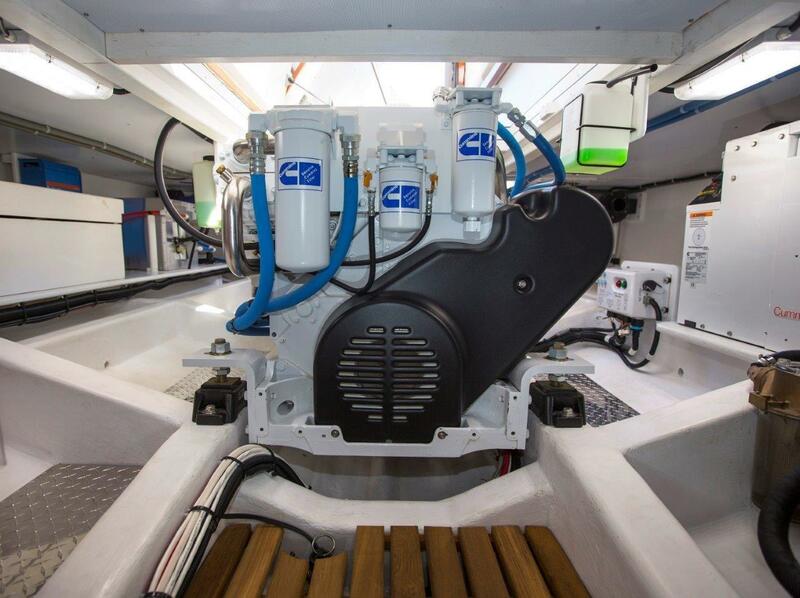 Bruckmann Yachts has been building quality boats for 50 years. 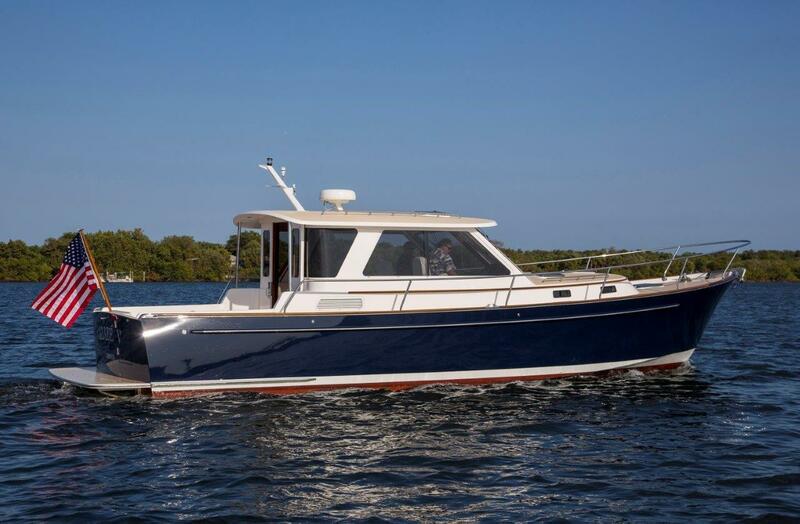 Call today to arrange an inspection of this lovely Downeast cruiser. 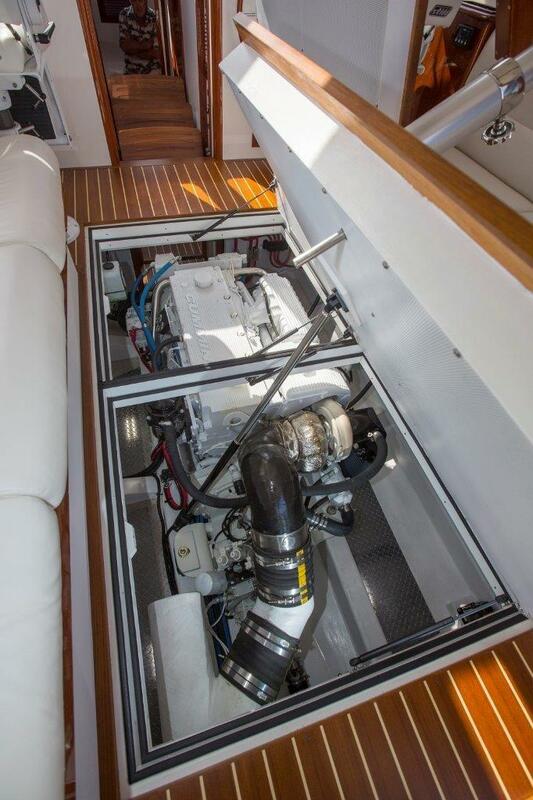 Starting forward, the Abaco has a large centerline island berth in the Forward Cabin. There is a hanging locker and aircraft-style lockers for storage. 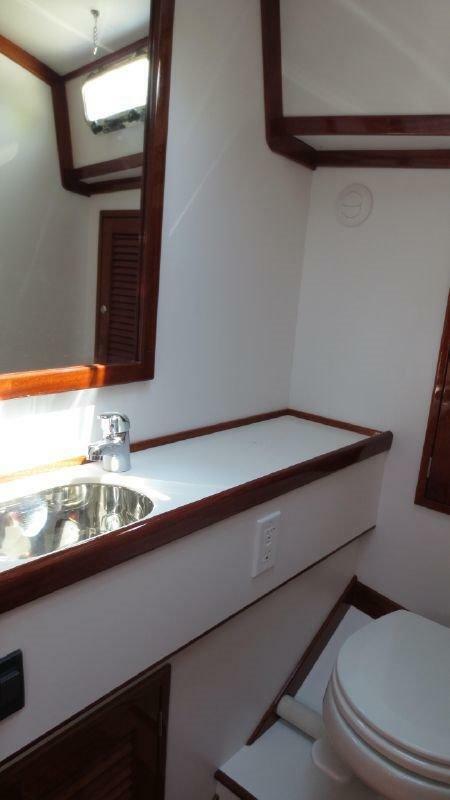 The Head is to starboard with VacuFlush toilet, sink and large separate stall shower. The Galley is to port down several steps from the salon. 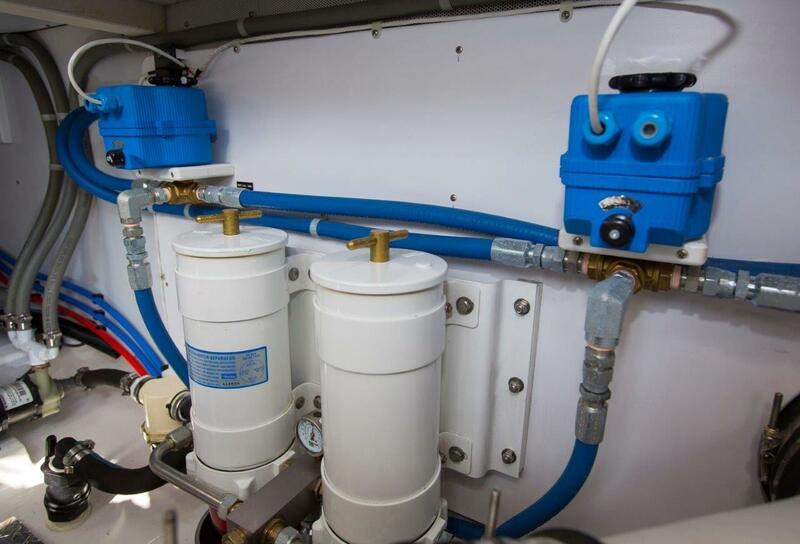 There are double stainless steel sinks, 12 volt cold plate refrigeration & freezer and Corian counters. There is a 2-burner ceramic cooktop and microwave oven for cooking. 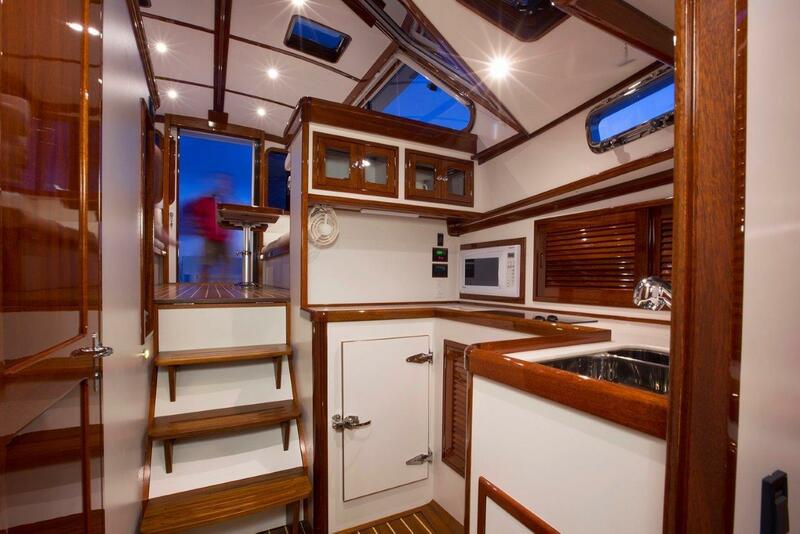 The galley is open to the pilothouse and has great light and ventilation. 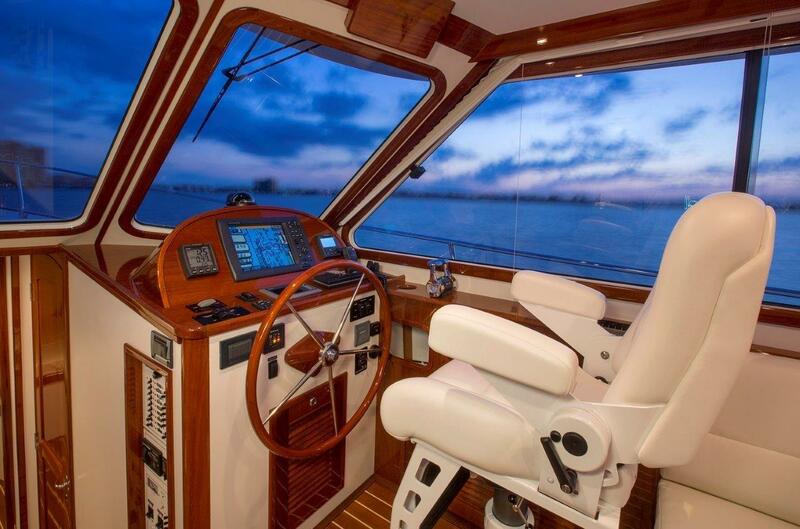 The Salon is up several steps and has the helm station to starboard. Stidd seating for helm and co-pilot. 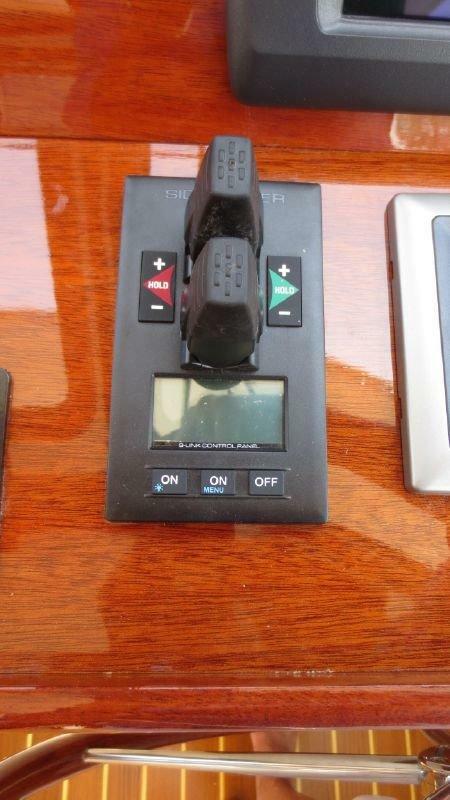 There is a comfortable L-shaped settee to port which converts to a berth. A varnished mahogany pedestal table seats 4-6 comfortably. A second settee is to starboard. Sliding glass windows provide light and ventilation. Large sliding glass doors open to the cockpit which is on the same level as the salon. 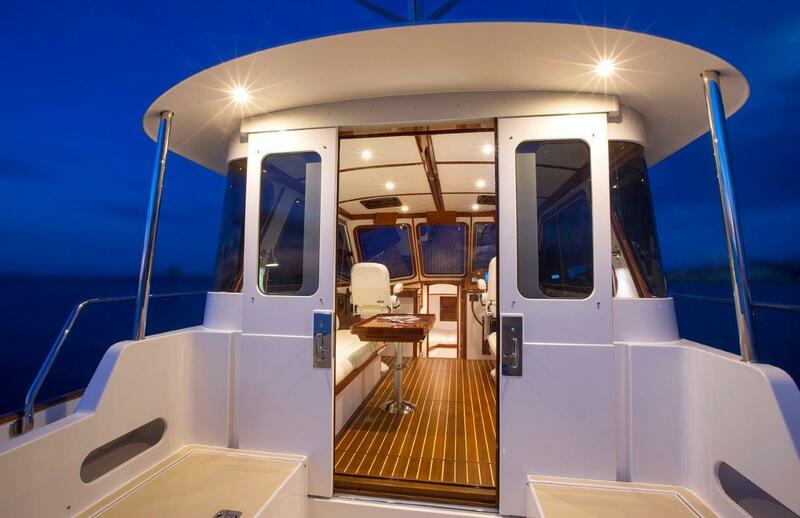 Aft door screen and pilot house blinds for privacy. 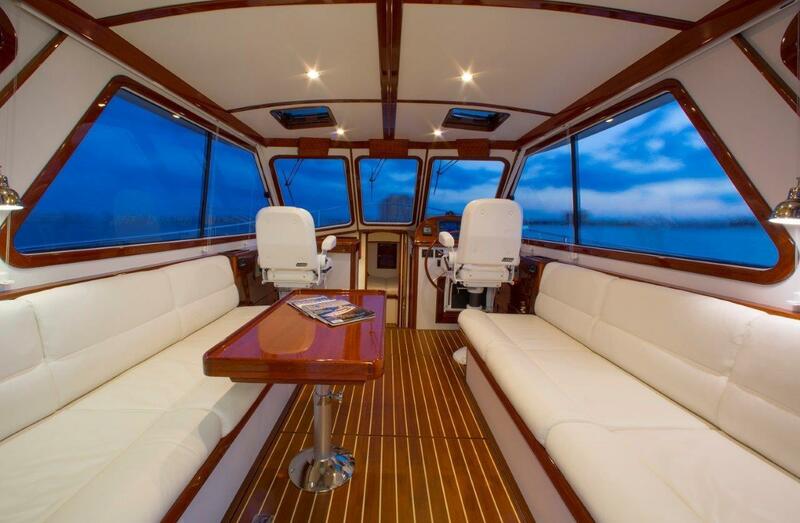 The interior is finished in a Hereshoff-style with white bulkheads and beautiful high gloss varnished mahogany doors and trim. Varnished teak and holly cabin sole. 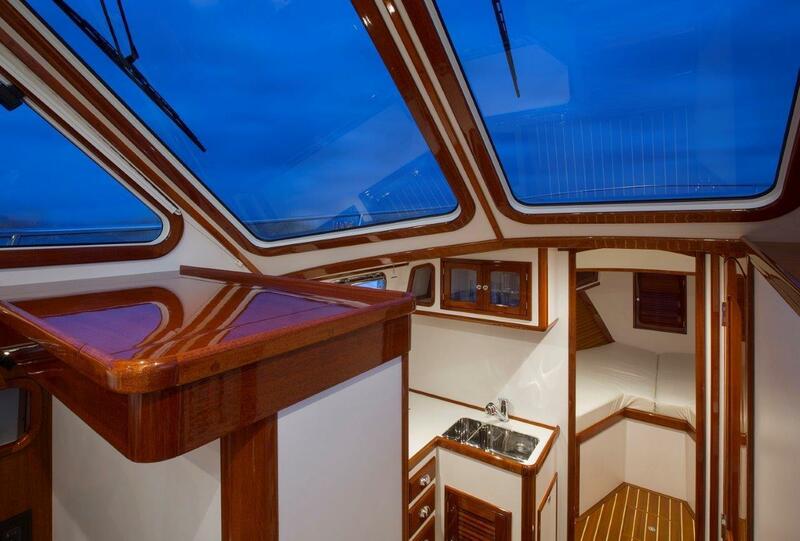 The cockpit and salon flow together to make a large area for relaxing and entertaining. 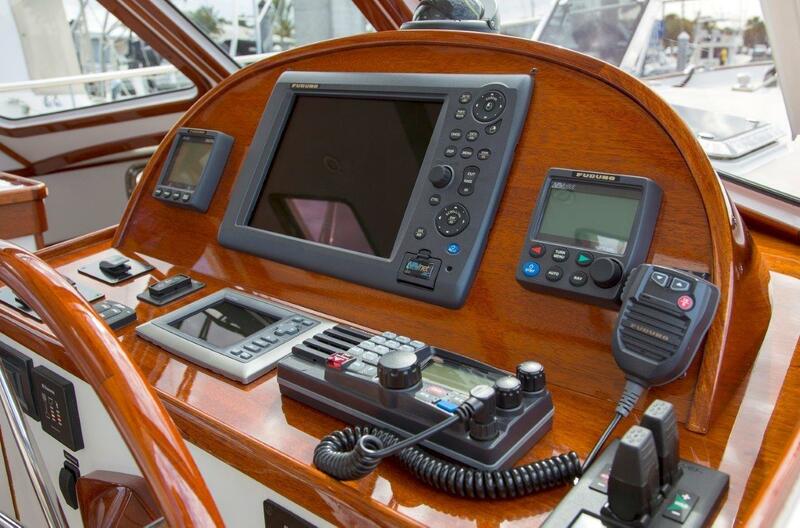 The Cockpit has an L-shaped seat to port with a varnished mahogany cockpit table and another seat to starboard. There is an access door to the swim platform with a bench settee to port. Access to storage below the cockpit is through hinged lockers in the cockpit sole. Cockpit shower. 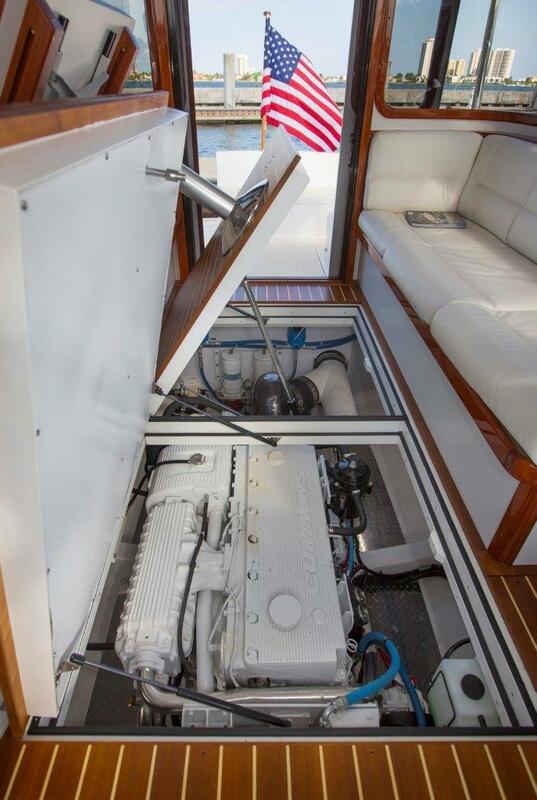 The Abaco is a seakindly design with simplicity of operation and maintenance. 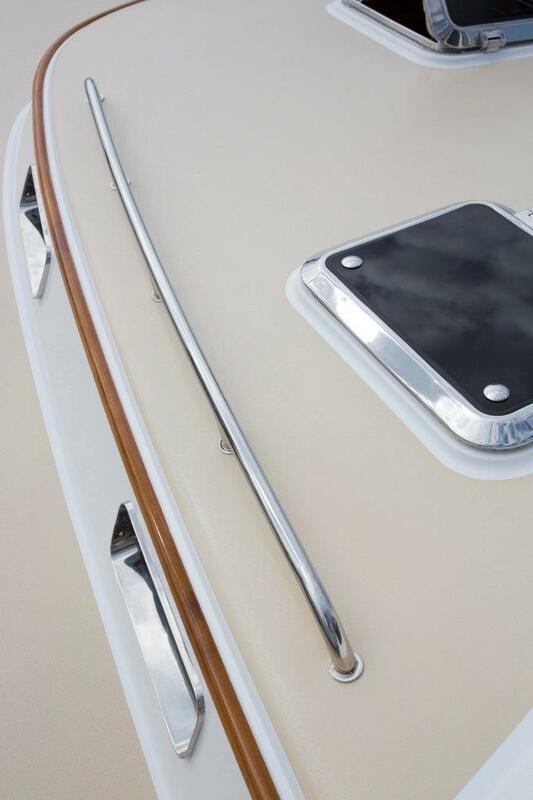 She has a classic appeal with quality construction and detail throughout. 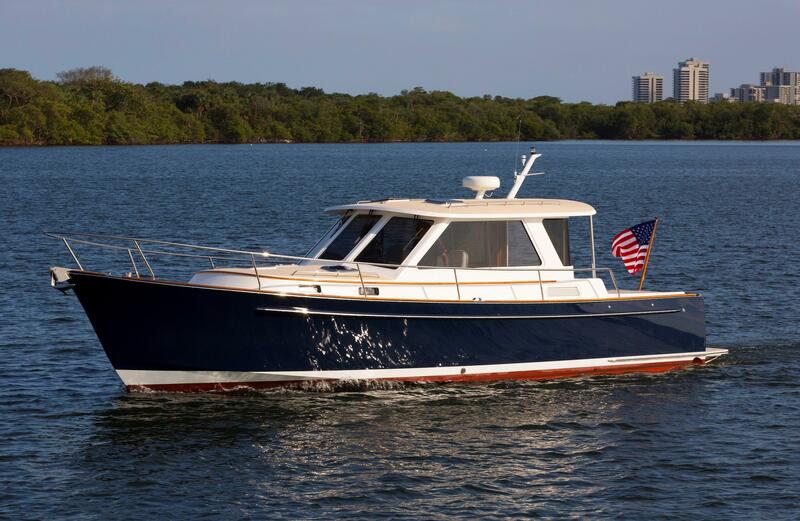 Chuck Hovey Yachts is the West Coast authorized "dealer agent" for Bruckmann Yachts and the new Abaco 40 by Bruckmann. Contact Martha Comfort at 206-624-1908 or 206-499-0910 (cell) for additional information and your viewing appointment. *Required. *Required. 14 + 16 = Wrong verification number!